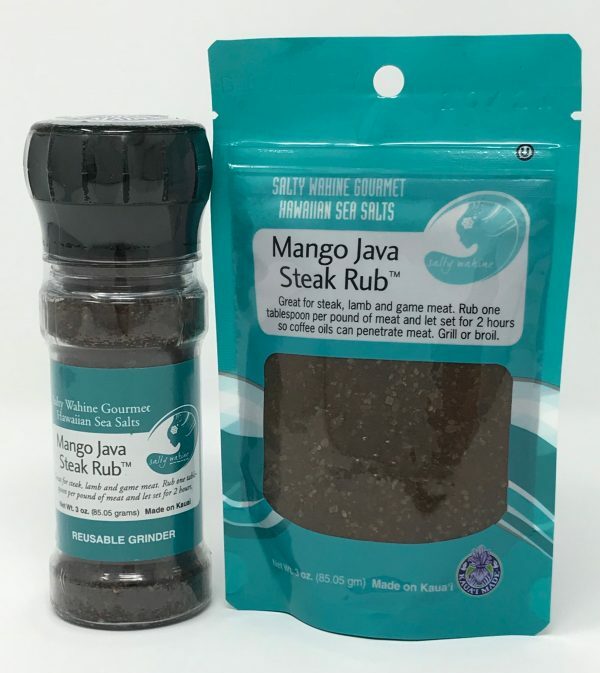 Our Mango Java Rub is a great addition to steak and game meats. Rub one (1) tablespoon per pound of meat and let set for two (2) hours so the coffee oils can penetrate the meat. Grill or broil! This is incredible, love the coffee flavor. 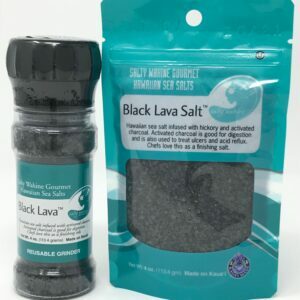 Great as a rub on pork steaks and then smoked. This is great on steaks. Just like it states, rub into steaks and let sit for an hour or two at room temp and grill to your liking. Ours – medium rare. Will be ordering again soon. Next time try our Scovie Winner Fiery Dragonfruit & Java Rub. It has just a little spicy kick to this coffee rub. Absolutely amazing. Picked some up while on work travel to the islands. The look of horror on our faces as we realized we were out at home caused me to reorder. Take your meat out of the fridge to come to room temp. While that is happening, season liberally with the Java Rub. I think this rub compliments a Skirt steak incredibly. Start your coals, set the grate maybe an inch above them. Look at the thickness of your steak, for mine, they were good at 2 minutes over direct heat, then moving 90 degrees for 2 more minutes before flipping. Watch for flareups, otherwise, don’t touch it. Let the meat rest and then slice and enjoy. I used to serve Skirt with a chimichurri sauce. NO NEED. You don’t want to cover up the hints of mango, and the slight char of the meat fusing with the coffee. 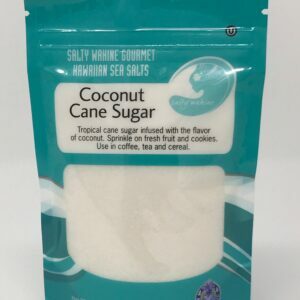 The sea salt is like a happy surprise, adding the last great season to the meal of the night. Take a breath, and order a sample. You wont regret it. Bought a half cup polybag 2 yrs ago on Kauai. A year after running out, the deliciousness still haunts us. Planning on ordering more. Only question: How long does it KEEP? If I order a gallon, and we only eat red meat once a week or less, will it get stale? Or should I vaccuum seal & freeze like coffee? Thank you for your remarks. Mango Java is one of my favorites too. We like to use mango java on the lamb chops from Costco. Oh my gosh!!!! 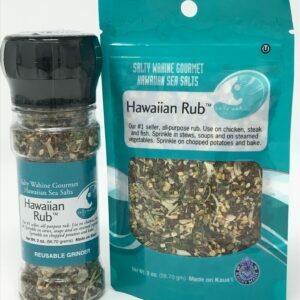 Just returned from a trip to Maui where we discovered this rub in a supermarket in Lahaina…we used it on steaks for our Christmas dinner and could not believe the flavor!!! We seasoned the steaks before grilling, but then we also sprinkled the rub over a stick of butter and put a pat on each steak to let it melt over them as they came off the grill…the flavor was TO DIE FOR!!!! I immediately went back to the store and bought 2 packets to bring home. We also LOVED the Pineapple Poultry Seasoning and brought some of that home with us too!!!! 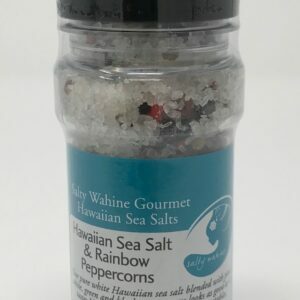 I’m so glad to see that I can reorder it online – although I’d MUCH PREFER to visit Maui again and buy it in person 🙂 Mahalo for these FABulous seasoning blends!!! Incredible on steak and lamb chops! Have served this on steak, people ask what my secret is. Some are surprised when they find out – they say they don’t like coffee, but this is delicious! Met you on a trip to Kauai in 2009 at a farmers market. I remember you said, if you haven’t tried steak with coffee rub, you haven’t lived. You were right! Multiple re-orders since then. I confess I tried to duplicate it, but it’s not the same. This is the real deal. Won’t eat a lamb chop without it – it cuts the “gaminess” and makes a lovely crust.